Across business functions as varied as marketing, finance, IT, and human resources, companies use sophisticated analytics to conduct end-to-end performance analysis and generate boardroom insights. The exception: the payroll department. As a ‘legacy’ business sector long dominated by outdated solutions and manual processes, global payroll has yet to become as data-driven as other key functions of the enterprise. Due to the lack of automation and standardized processes in the space, analytics have been largely an afterthought in global payroll. Why? Because reporting and analytics are far from synonymous. 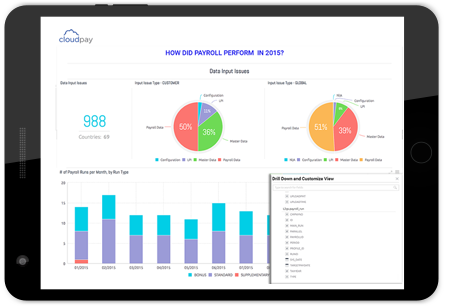 While most payroll providers send a wealth of reports to their clients, the reports detail static information and present it in a static way. Analytics, on the other hand, enable payroll customers to visualize their data in real time and understand it in greater context—providing far more actionable and insightful intelligence than reports can. The added sense of perspective that analytics delivers is crucial to improving global payroll performance. Even with so many reports in their arsenal, many managed services providers supple customers with limited information on payroll performance, allowing processing data to stay locked in a ‘black box’ until all pay cycles have been completed and exception reports disseminated. So it follows that the most valuable payroll intelligence is acquired when organizations take a holistic approach to payroll across the global enterprise: Armed with standardized processes, automated workflows, and expert managed services and support, multinational organizations that deploy integrated payroll solutions can cultivate analytics that add value to a variety of operational improvement initiatives. 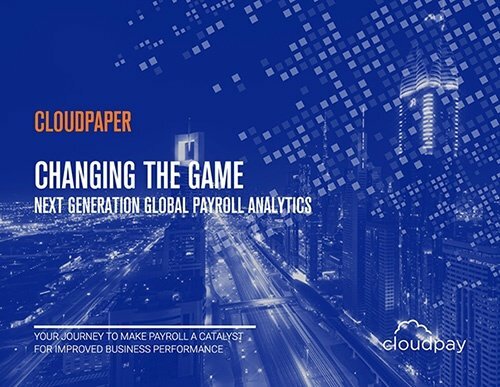 To learn more, download the full report now: Changing the Game: Next-Generation Global Payroll Analytics. Next Generation Global Payroll Analytics: Your journey to building process transparency and making payroll a catalyst for improved business performance. Global Payroll Implementation: A comprehensive guide to building a business case, selecting a solution and successfully deploying global payroll. 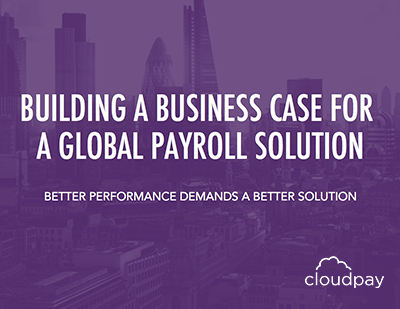 Building a Business Case for a Global Payroll Solution: Learn how to build a benefits-driven business case for a change in global payroll.